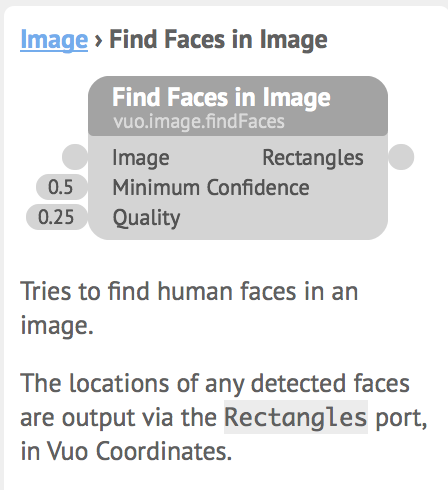 Determine the pixel coordinates of rectangles where faces appear in the image. We're thinking of implementing this using OpenCV's Haar Cascade filter. Fantastic feature-request! Get behind it everyone! say whaaaaaaat? does this mean we can get eye tracking data into Vuo? Got to look into this, very cool.